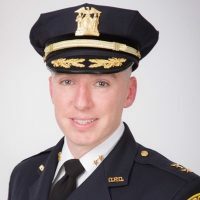 Village of Ossining Police Chief Kevin Sylvester has expressed support of a legislative initiative to grant limited access drivers licenses at all New York residents, regardless of their immigration status. In late November, Sylvester penned a letter to Governor Andrew Cuomo focusing on the experiences of his department. Sylvester maintained law enforcement should be part of the solution. Ossining was among the first municipalities to support this effort when the Village Board passed a resolution in December 2016 urging Albany to move forward legislation similar to what is already in place in a dozen other states. Ossining Mayor Victoria Gearity, who along with Sylvester, will be among several invited speakers participating a community meeting on the subject this week White Plains, has been outspoken about her support of the legislation. “We are often frustrated that there is little we can do to influence federal immigration policies coming from the White House. I am pleased to be part of the group of municipal leaders advocating for this tangible improvement to the economic stability of our undocumented residents, and safer roadways for everyone,” she said.